If you’re still unsure of what to get your better half this Valentine’s Day, we’re here to help. This year, go beyond the roses and chocolate, and gift her something special that’ll make her heart skip a beat. We’ve handpicked five fantastic gift ideas that are worthy of your leading lady. The Datejust with Diamonds and a mother of pearl is the best choice off this list. You know what five-letter word goes best with those three little words? ROLEX. Nothing says I love you quite like a diamond Rolex watch and this one packs a punch. 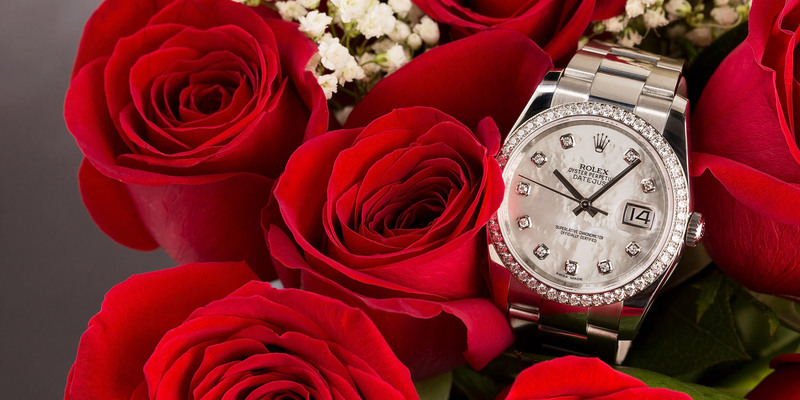 Although the Rolex Datejust 36 has traditionally been sold as a men’s watch, it’s also a favorite of stylish women everywhere who like their watches on the larger side. The ruggedness of stainless steel is softened by the white mother-of-pearl dial, and of course, a dash of diamonds is always welcomed. In addition to the diamond-set bezel on the 36mm case, there are also ten diamond hour markers on the dial. And it wouldn’t be a Datejust without the essential combo of the date window at 3 o’clock the Cyclops magnification lens above it. If you’re feeling a little wrist envy, then go ahead and get yourself a matching men’s Datejust too, because #couplegoals. Christian Louboutin Evening Sun Mules are another great choice for gals who love new footwear. 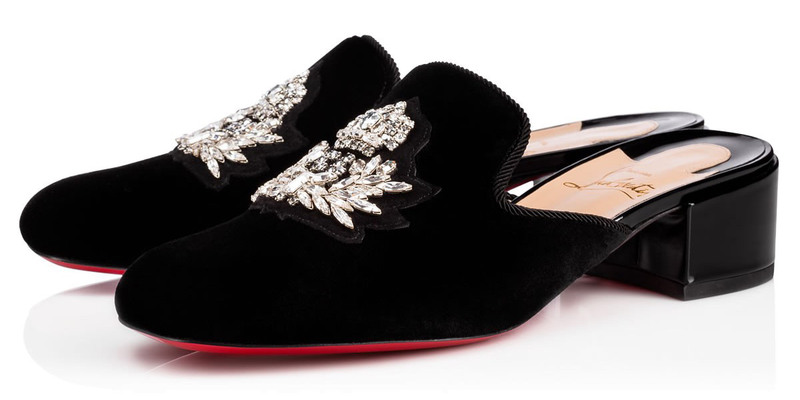 In the world of shoes, Christian Louboutin is king. Give your lady a break from her sky-high heels with these “boudoir-inspired mule slippers”, complete with his signature red-lacquered soles. With a mix of lush black velvet, glossy patent leather, and gleaming crystals shaped in the design of the house’s crest, this is where bedroom chic meets red bottoms. 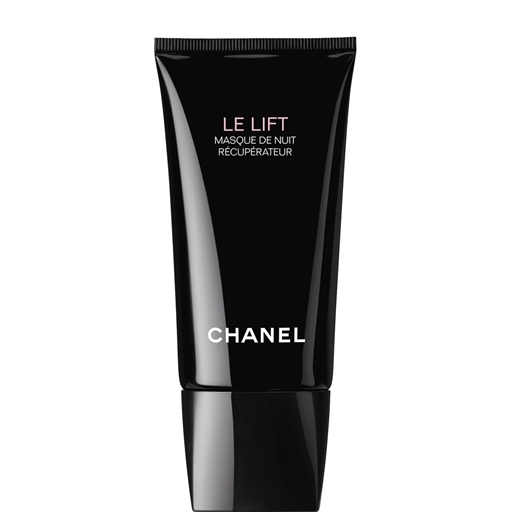 The Chanel Le Lift Sleep Mask is a great items if your spouse is into skin care. While the search for the fountain of youth is still on, Chanel has bottled up something pretty close. According to the French Maison, it’s “skin’s very own silk pajamas”. Using a combination of ultra-firming ingredients and silk proteins, Chanel’s Le Lift Sleep Mask for face, neck, and neckline, works to get her skin looking rested and combats wrinkles while she gets some shut-eye. Think of it as beauty sleep 2.0. The first step to start looking like a celebrity we all know. 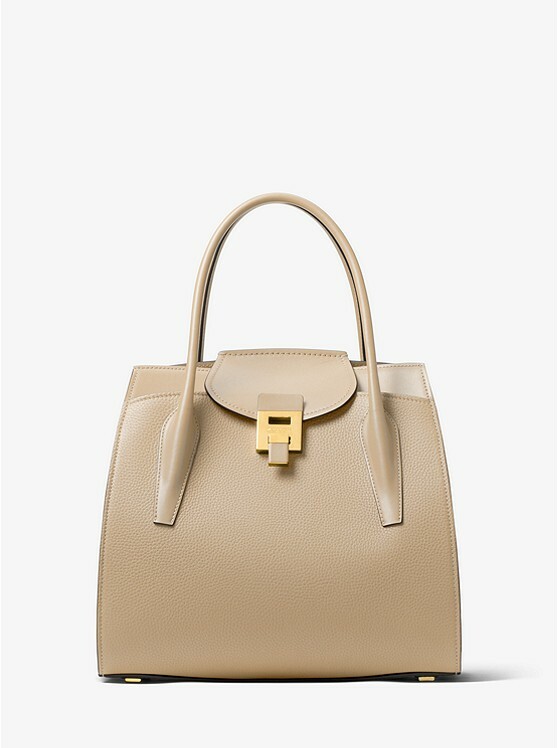 Get the Michael Kors Bancroft Large Satchel if you lady is on the marketing for a new bag. It’s no secret that ladies love a good handbag and more often than not, bigger is better. If your lady has a lot of stuff to carry around, then Michael Kors has the answer. Crafted in calf leather and available in either beige or black, the new Michael Kors Bancroft Large Satchel is understated and classic in style, yet roomy enough to hold all her possessions. Fashionable and practical things are always great gifts. 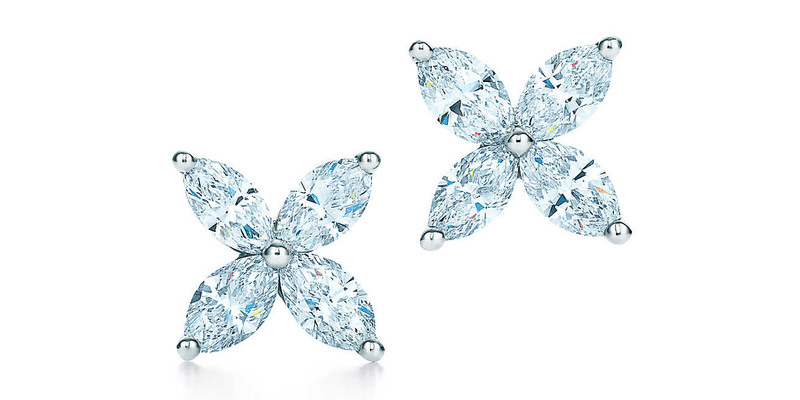 Tiffany Victoria Earrings are another great way to win her heart. So much better than a bouquet of flowers that will wilt within a week, Tiffany’s Victoria floral diamond earrings will last forever. These pretty petals shine bright with a combination of precious platinum and dazzling marquise diamonds. We guarantee she’ll fall in love with you all over again once she catches a glimpse of that robin blue box. Now that half of the work is done and you have some solid gift ideas to choose from, don’t wait too much longer to buy her that Valentine’s Day present. February 14 will be here sooner than you think!